Home/Roger Federer/What does Federer have to do to Win another Grand Slam? What does Federer have to do to Win another Grand Slam? Roger hasn't won a slam since the 2010 Australian Open – which is fast approaching 2 years, which where he's concerned is an awful long time. Firstly, players have gotten better – Nadal, Djokovic etc have improved their games no end, which inevitably makes it harder to win. Secondly, modern equipment has made the game easier and subsequently made Rogers margin for error much less – he plays with a 90″ racket head, which is the smallest on tour. String technology and rackets that play like toys make it easier to hit big, and keep the ball within the lines. Thirdly – Rogers priorities have changed now he has a wife and family to look after, he of course will argue otherwise, but regardless of what he says, it's inevitable they will have changed somewhat. And finally – Roger has achieved so much in the game, it must be difficult to train and play with the same enthusiasm when you've pretty much accomplished everything there is to accomplish in the game. What does Roger have to do to win another Slam? It goes without saying that Roger definitely has the game to win another slam – having won 16 previously – you don't lose that ability over night. In some aspects, Rogers game has improved since his prime, his serve is definitely better than it used to be. However, to win a slam I believe there has to be several changes in his setup. Whether or not he can make them is a different matter. 1. He has to start playing with much more variety. 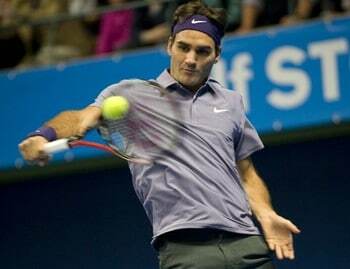 Of late, Roger has been guilty of playing a very one dimensional style of play. For example – the Tsonga match at Wimbledon, he stood on the baseline and rallied with Tsonga, and got blown off the court. When plan A isn't working, he is reluctant to change things, and ends up being responsible for his own downfall. Whereas before, his level was so consistently high, even if he ran into a player who was on top form, his Plan A would eventually win through as it would wear his opponent down, they'd have to play unbelievably well over 5 sets – which is nigh on impossible. This is no longer the case – Roger isn't as consistent, and modern equipment means players can hit the ball bigger and keep it in the lines much easier due to the advancements in string technology. Anyone who has played with that illegal triangular like string where it's practically impossible to hit the ball long knows what I'm talking about. He has the biggest repertoire of shots in the game. We've seen matches where he's been able to execute mixing it up and varying his shots – the win against Del Potro in Cincinnati earlier this month is a great example of this, along with the win against Djokovic in the French Open Semi Final. He's very stubborn – so we know he'd much rather beat power hitters by hitting them off the court and beating them at their own game rather than mix it up. He's played several matches of late where variety was the key to winning – yet he's failed to implement it. He seems reluctant to use the slice. The nature of Rogers game instantly makes his style of play an aggressive one. He hits the ball very flat and is always looking to get on the front foot. However, in many of his recent matches, he's lacked this aspect to his game. (I would say the last time he displayed the right aggression over successive matches was at the World Tour Finals last year in London) And really of late, he's played very passively. It's like he is struggling to come up with ideas of what to do. Take the Tsonga match at Wimbledon – he played great for 2 sets, then let his opponent back in, and just played the same passive baseline tennis for the next 3 sets. Roger has to play like he did against Novak in the French – he has to get his opponents off balance, he has to get them moving forward, and constantly second guessing what's coming back over the net. He has said himself he plays his best when he plays 1st strike tennis, so really he needs to practice what he preaches on a permanent basis, not just every now and again. He's naturally an aggressive player, so it's not like he'd be starting from scratch. If this was someone like Murray, then you'd be worried, because he has zero aggression, so making him play aggressive is impossible. With Roger, it's not. He has Annacone as a coach – who was an exponent of serve/volley, which is the most naturally aggressive way to play the game. With heavy hitters like Berdych, Tsonga, Soderling etc, Roger cannot afford to just chip the ball back into play. He will either a.) be instantly on the back foot in the rally, or b.) leave a simple put away for his opponent. This was exactly the case against Berdych – Berdych was serving flat and big, and whilst Federer managed to chip return a few over the net, Berydch was on the service line ready to put them away with ease. The fact he didn't manage to create a single break point on the Berdych serves pretty much proves his return game is off. The last time I really think Roger played ultra aggressive on the return was against Murray in the Australian Open 2010 final – he really got after Murrays second serve that day and it won him a lot of points. It also put more pressure on Murray to make more first serves, which ultimately made him make less due to his mental frailties. Against Simon at the Austrlian Open, and against Djokovic at the French Open – Roger showed huge confidence and self believe in his game. Djokovic was the overwhelming favourite going into that Semi final, yet Federer played every single one of his shots with conviction and that is what won him the match. When he called upon his first serve in the key moments, it was there. In the final against Nadal however, he seemed to lack belief he could win, and was almost content with just making the final. Then against Tsonga at Wimbledon, in the final sets – he looked a forlorn figure out there, as though he'd genuinely given up and no matter what he tried wouldn't win him that match. That isn't good to see, and also helps give opponents who maybe watching the belief they can do the same at a later date. I never thought I'd accuse Federer of showing a lack of fight, the amount of Grand Slam Matches where he's been 2 sets down, looked totally out of it, only to regroup and come back to win. But of late – I've seen Roger to an extent just roll over and die. Nadal in the French Open final – he was up 5-2 in that first set, only to self destruct and throw the set away and after that, he wasn't same the player. Of course he's human, and these things happen, but they are still awkward to watch. The Tsonga match was similar – when that match hit the 5th set I didn't see Roger winning for a split second, and from the way he was carrying himself neither did he. 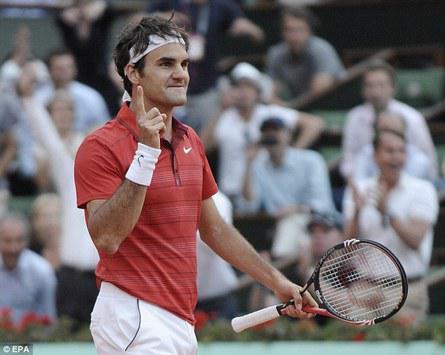 We need Federer to play with swagger, and not play timidly in the key moments. If he lost after giving it everything and going for broke, then I wouldn't mind. Least he would have left everything out there. Of late though, I don't think he has. What do you think? Can Roger win another grand slam? What does have to do to win another? I agree with you, but I think that the key point is the number 4, he has to play with more confidence and self belief, it´s what happened in the French open, he made a brilliant match against Nole and after he lost the match with Nadal,and Nole is playing much better than Rafa. There is another question that I´ve been wondering many times, what happens when Roger plays with Rafa lately? 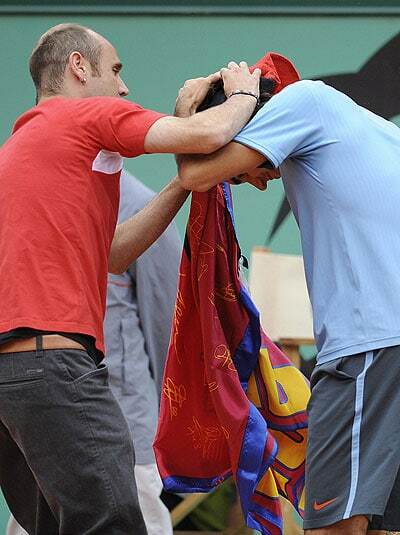 It seems to me as if he´d think that he can´t defeat Rafa, . What do you think about this? I think its fair to say Roger has a mental block against Rafa. The defeats in the French and the Aus Open 09 really made him doubt whether he can beat Nadal. The constant moonballing to the backhand of Fed takes its toll and he can never seem to find the answer. Maybe now Djokovic is in Nadals head, this will give renewed confidence that he can beat Nadal on any given day. If they meet in a slam any time soon I guess we will see if the tables have turned. Good stuff Jonathan. As far as I’m concerned there are 2 things Roger has to do to win another slam, both of which you mentioned. He needs to be more adaptable and stop being so damn stubborn. You see his stubbornness against the power hitters. These guys are clearly too powerful for him but he refuses to vary is play. Instead he arrogantly tries to outhit them. In his prime he never had to come up with a different game plan because he was so damn good. But these days the game has caught up with him yet he is unwilling to change something when plan A does not work. He is not very adaptable. The second thing he needs to do is grind out matches. Unfortunately he is terrible at this as well. Against Berdych in Cincy he had to grind out the breaker and somehow find a way to win, but he failed terribly. He doesn’t have the ability to hustle. He always wants to play the match on his terms. This is unfortunately to possible these days and he needs to get down and dirty. He needs to grind out a close match which will give him a lot of confidence but he almost invariably loses a close contest. It shows a big lack of mental fortitude. He is not able to rely on himself when the chips are down, because he never has to rely on that to win in his prime. His aura was enough to make other players choke when things got close. With that aura gone players don’t choke anymore, and once again he is unable to adapt. I guess to win another slam everything will have to click for him over a two week period like it did at the French this year. Otherwise I don’t have much hope of him winning another slam. Hey Ru-an, thanks very much for the comment. I agree – his arrogance is what made him brilliant, but it is also proving his downfall in these matches against similar types of players over and over again. I don’t think I mentioned it directly, but you are spot on when you say he doesn’t know how to win ugly and doesn’t seem willing to either. It is difficult to see how he can change these aspects before it is too late. It’s certainly becoming more and more tough being a Federer fan. you´re right again, let´s see what´s going on in Flushing Meadows, I´d love to see SuperFed winning this slam once again. I´ll be following your blog. Thanks again for your article, really good! This is a wonderful post, you cover every aspect of what Fed needs to do to continue winning. I completely agree, he needs to be able to change tactics mid-match more efficiently. He also HAS to start converting on break point opportunities. Nearly every match he loses he has a horrendous break point conversion rate. I would also love to see him utilize that slice and dropshot more effectively, but without relying on it as a crutch. Yeah its about time he stopped being so stubborn in his play and does what it takes to win. Agree on the BP conversion – although I reckon that if he does mix up his play this will help create many more chances, and increase his chances of converting them. I think we will see if he can adapt in a couple of weeks. The courts at flushing meadows are definitely suited to his game so if he can’t change there then who knows. Go back to the sensual ‘K factor six.one.tour’-greatest racket of all time! I think he’s only won one slam since he changed to the BLX. Sounds like a good plan! Think there’s a new one coming out in January. 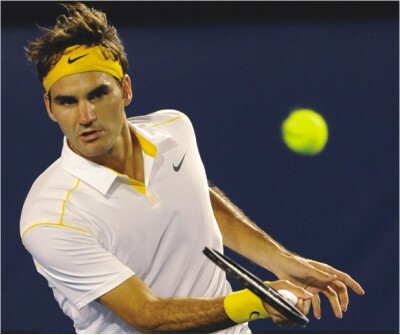 Although I heard Federer actually uses a custom Pro Staff racket thats just sprayed up with the BLX painwork. What a superb analysis. All aspects of Roger’s dilemma covered. He reminds me a lot of the final years of Sampras. He probably has 1 more Slam left in him and to be honest even if he doesn’t win one will go down as the greatest men’s player in tennis history. I appreciate what people have written about his stubbornness and unwillingness to change his game. He should seriously consider changing his racquet. But he might still win a 17th! Maybe too late to change rackets so late on – I use the K factor Six One Tour and even I’d be reluctant to change, it just plays really nice. Right on with this piece. It’s fun to look at Federer’s game, because there is so much to discuss. He has all the shots. The matchup’s can be difficult for a Federer, as Nadal was born to break down a righties one-handed backhand. I think Roger is still right on the cusp. And he HATES to lose. I am looking forward to him being in the mix heavily next year in the Slams. It’s been the case of a few key points here and there this year. Remember when he had Nadal on the ropes in the first set this year? A lot turned when he lost that match. So you’re right, he needs to believe more. A lot turned when Djokovic hit that return against him in NY too, and he couldn’t survive that either. He still had another match point after that and he couldn’t execute the forehand. I think the Australian will be a key indicator of how he will perform throughout 2012. I’m confident he has another slam in the bag. Very intelligent analysis. I’m a big Federe fan also – he’s the best I’ve seen in four decades of following the game closely. As a fellow Fed fan, I was impressed that you were very balanced and realistic in your assessments – not always the case in other posts on the internet. Good job & thanks.